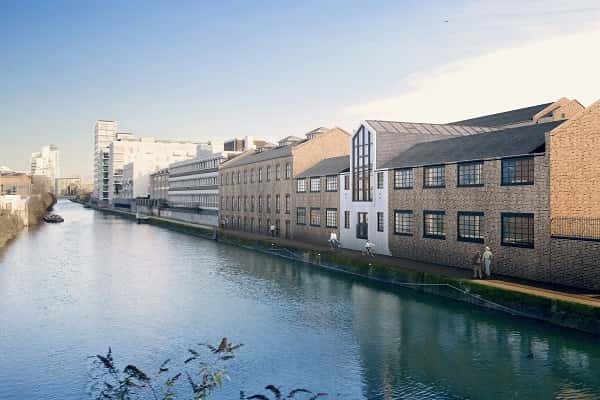 Clyde Square, formerly known as Royal Quay, was developed by Regal Homes and consists of a series of historic canal-side warehouse buildings positioned on the Limehouse Cut, London’s oldest canal. Clyde Square is located on Dod Street, in the heart of East London. The past meets modern day at this architecturally superior development - original structures are cleverly combined with modern elements to create a truly special residence. I don’t know about you, but I’ve always had a mistrust ‘thing’ about estate agents… and I’ve been working in this industry for over 10 years. Sure, there’s some good people out there, people who always cut to the chase (in a good way), don’t waffle, tell you how the market really is and always return your calls and emails promptly. But, and it’s a big but, there are also agents out there who do the complete opposite – they revert to type – they revert to the generally held perception of estate agents. When I set Proper Local up no one needed to tell me what the ethos should be, because for me it was obvious, and indeed natural: set up a company which just does the job properly, with no ego, no shiny suits, and only, and I really mean ONLY deal with a geographical area you actually know about. The £14.8 billion Crossrail project is currently Europe’s largest infrastructure project. Construction began in 2009 at Canary Wharf, and is now almost 75% complete. 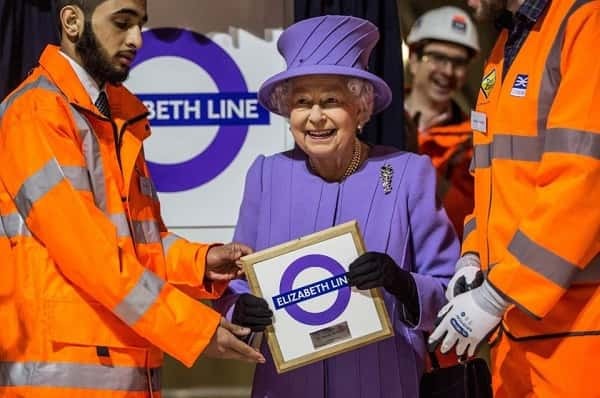 The new railway, which will be known as the Elizabeth line when services begin in next year and will be fully integrated with London’s existing transport network and will be operated by Transport for London. The new state-of-the-art trains will carry an estimated 200 million passengers per year. will speed up journey times, increase central London’s rail capacity by 10% and bring an extra 1.5 million people to within 45 minutes of central London. Journeys from Reading in the west all the way Shenfield in the east, taking in 40 stations (10 new ones) and providing the first ever direct connection between all of London’s main employment centres and Heathrow airport. 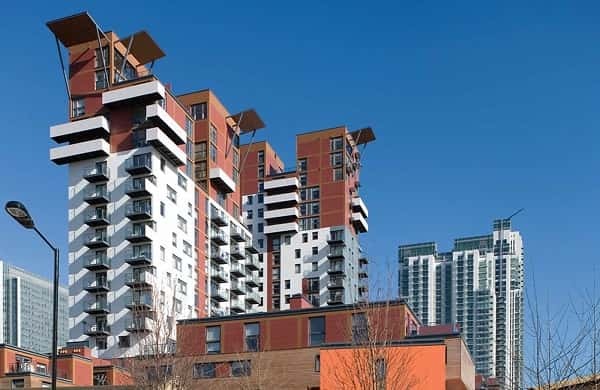 Phoenix Heights, also known as 4 Mastmaker Road is a residential development on the Isle of Dogs, E14. Lauded by the architects and the architectural press, Piers Gough described the development as 'humanist architecture… a raw funky collage'. Designed by Brady Mallalieu Architects and developed by Ballymore this unique development completed in 2009. Phoenix Heights has won various awards including 2010 RIAI award for 'Best Overseas Project'. An Evening Standard Award for 'Best New Development in the Affordable Homes Sector', Best Residential Building of the Year at the 2010 Leaf Awards and was also shortlisted for 'Best New Place to Live' at the 2009 RTPI London Planning Awards. 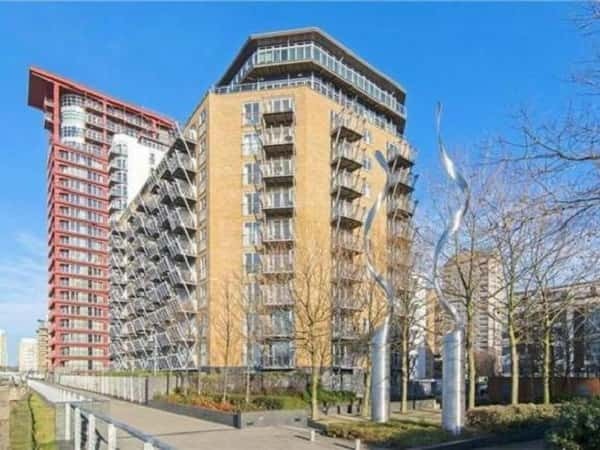 Seacon Wharf is a residential development standing on the banks of the Thames at Westferry Road on the Isle of Dogs, close to the Canary Wharf business district. Comprising two blocks, Naxos Building and Seacon Tower, Seacon Wharf was developed by St James’ Homes and completed in 2004. The two towers provide almost 300 apartments ranging from studio to one, two and three bedroom apartments, plus penthouses. The majority of apartments benefit from a river view, with the best situated apartments offering unparalleled and uninterrupted views of the London city skyline.